Loren Bailey Crouch was a Pearl Harbor Survivor on the USS West Virginia. 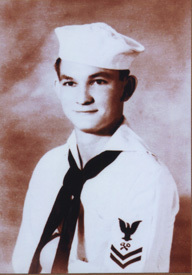 He was reported missing and assumed lost on the USS Neosho on May 7, 1942. 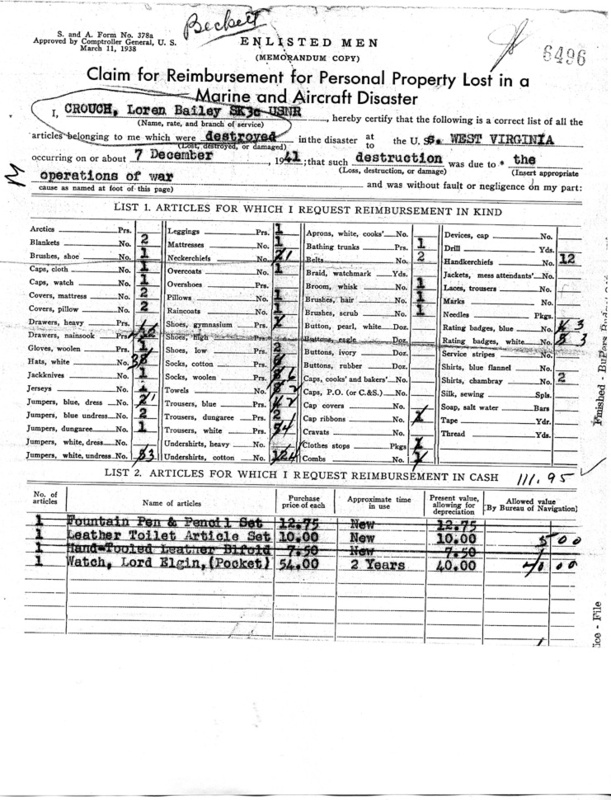 Click the image below to see Loren Bailey's reimbursement claim form for items that he lost due to the attack on Pearl Harbor.